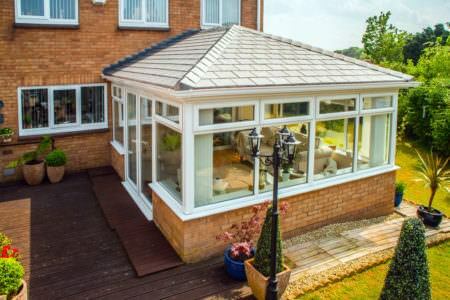 Due to their larger footprint, the innovatively designed T-shaped conservatory provides two distinct spaces in one structure. 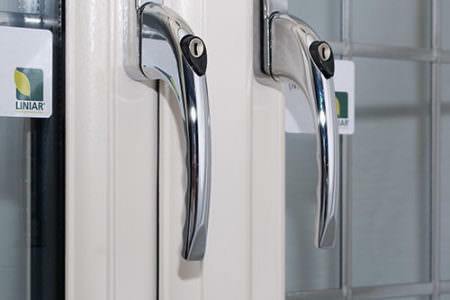 This allows you to use the spaces for a wide variety of roles. 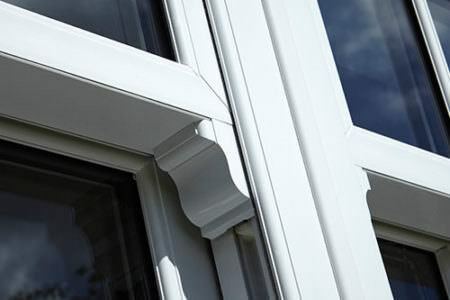 P-shaped conservatories combine the delicate ornamentation of the Victorian style with the slim sightlines of the Edwardian and the impressive height of the Gable. 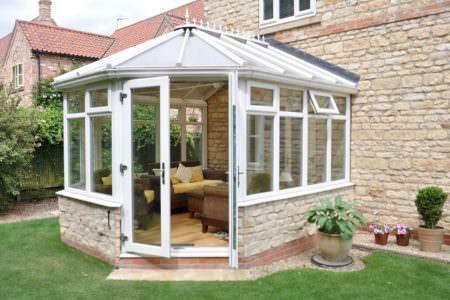 Combining the very best features of three different conservatory styles means you benefit from a truly bespoke and versatile design. 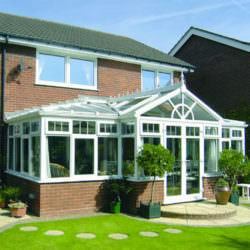 The T-shaped conservatory is ideal for larger properties, particularly those with a long wall on which to build on. 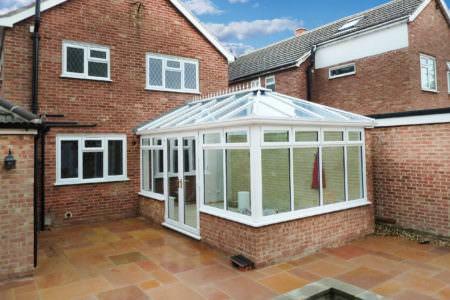 This conservatory gives you space with a dual purpose. 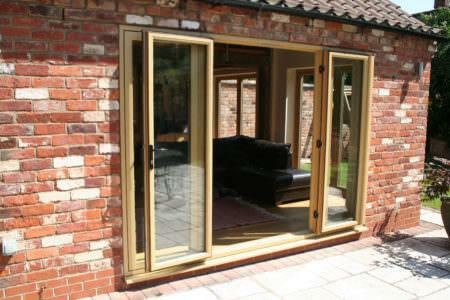 You can combine a lounge and dining area with a fun family room or combine a working space with a lounge. 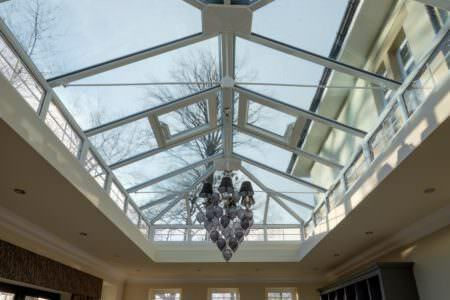 The T-shaped conservatory’s optional gable style ridge means the front elevation extends straight up, allowing for lots of natural light. 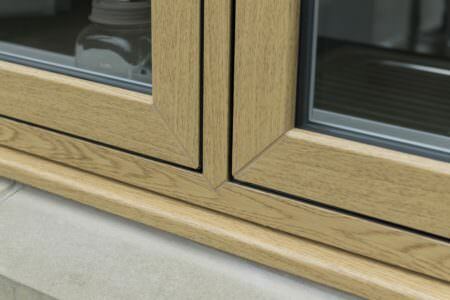 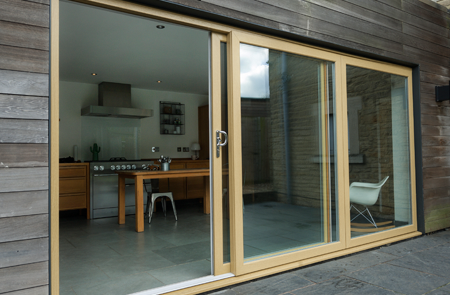 The T-shape’s optional Victorian style bay allows for a wide open view of the outside. 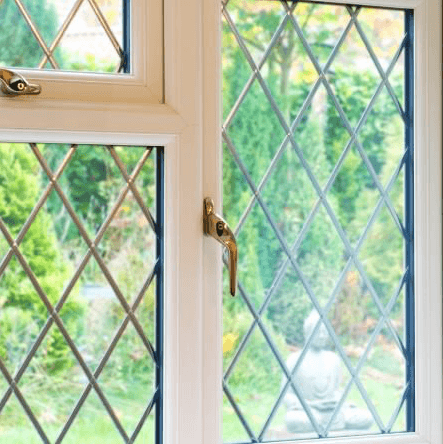 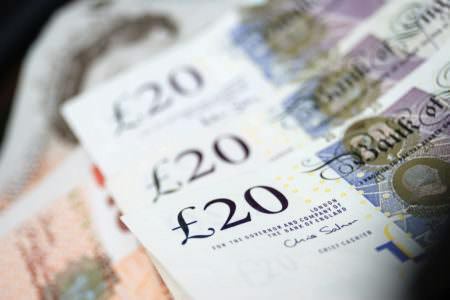 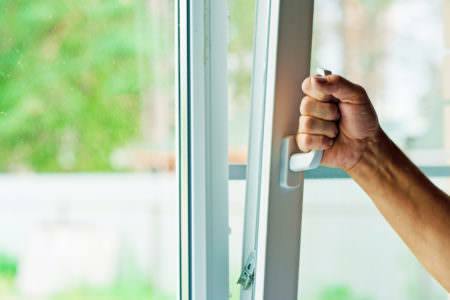 This can particularly advantageous to those with beautiful scenic views or with families who like to keep an eye on their children and pets whilst they play. 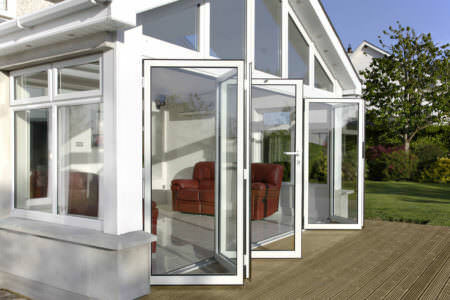 Since the P-shape extends in different directions, it is ideal for the use of two separate living areas. 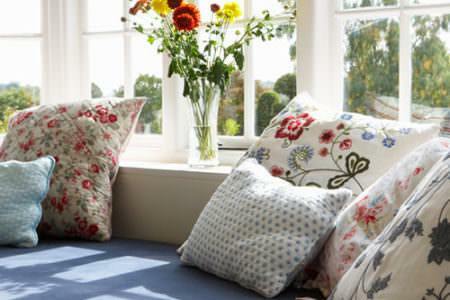 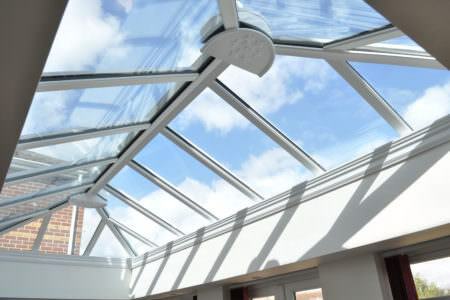 It offers a world of choice, allowing you to get creative with your home improvement. 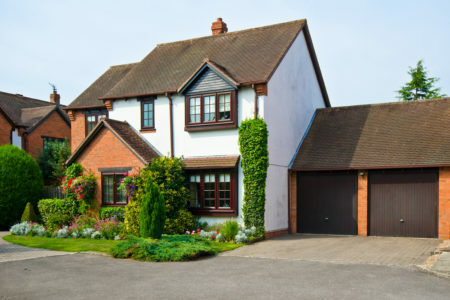 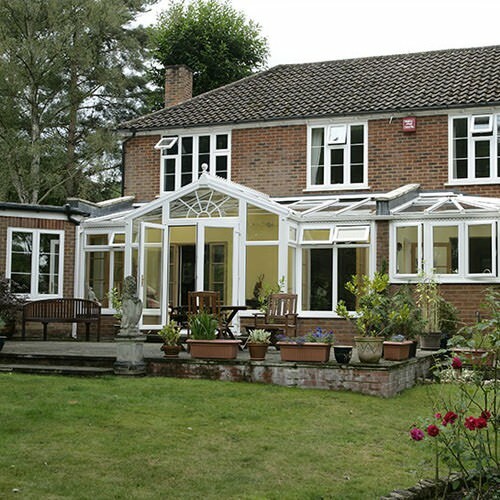 T-shaped conservatories combine two styles of conservatories to create a unique design. 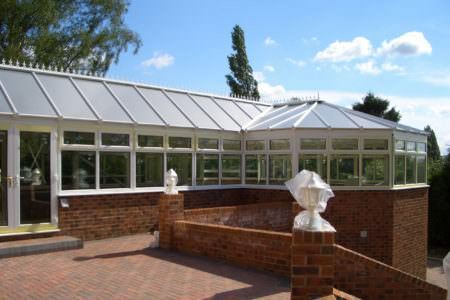 A typical T-shape conservatory runs along one side of the house, with a central projection in the middle – forming a T-shape. 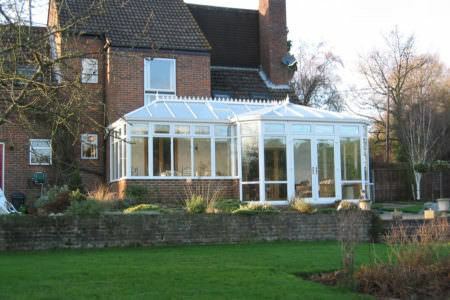 The longer part of the conservatory is usually Edwardian in style, with the central projection acting as a contrasting Victorian or Gable design. 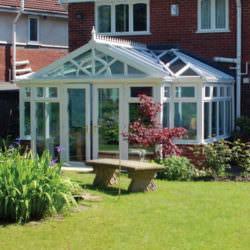 The T-shape conservatory is suited to larger scale properties and gardens due to its size. 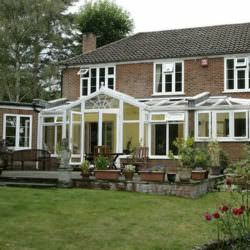 You will find the central projection works fantastically well in giving you a panoramic view of your garden. 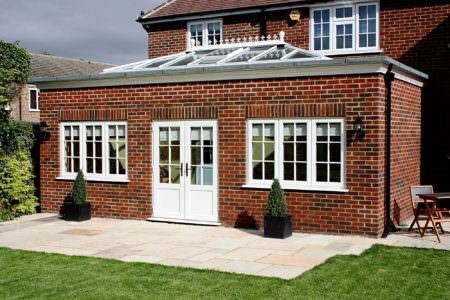 Adding a set of French doors to your conservatory with perhaps a porch effect, will give you a stylish entrance to the outside. 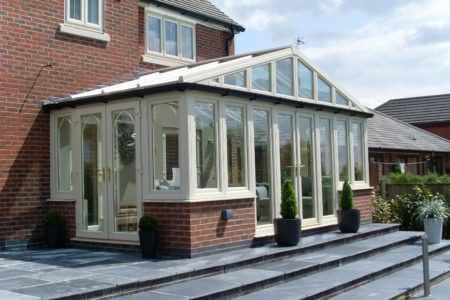 A set of steps leading down into a large garden can give your conservatory further effect. 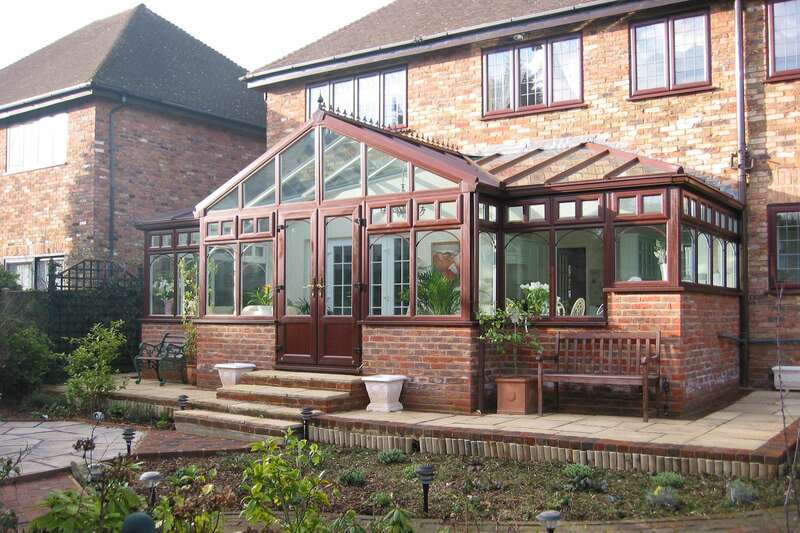 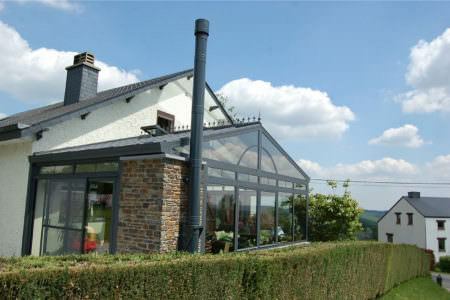 This combination style conservatory offers great flexibility in terms of design. 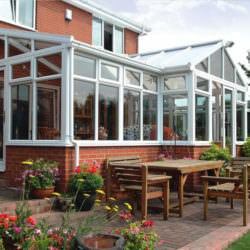 You can specify your conservatory exactly how you intend to use it. 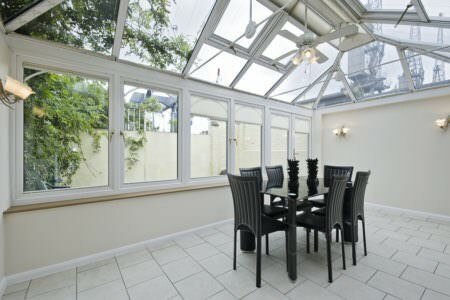 For example, you could use the main part of the conservatory as a dining room, with the projection being a seating area or garden room. 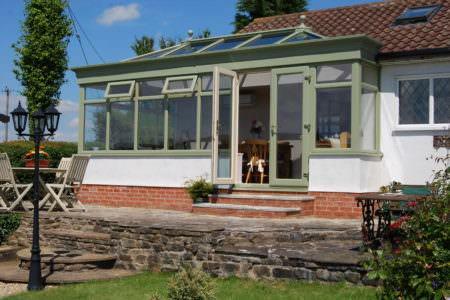 Or, if you have children then you may wish to use the projection part as a play area. 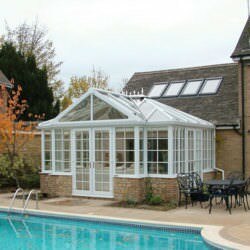 With the T-shape conservatory running the length of the back of your house, you can even transform the space into an indoor swimming pool. 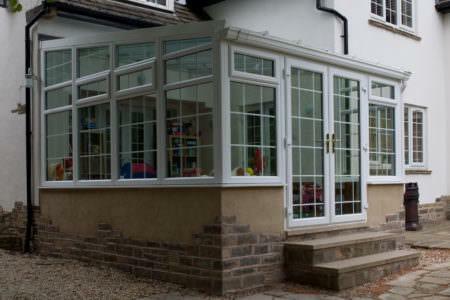 As with other conservatory designs, the T-shaped conservatory is available with a dwarf wall, uPVC panels and as fully glazed. 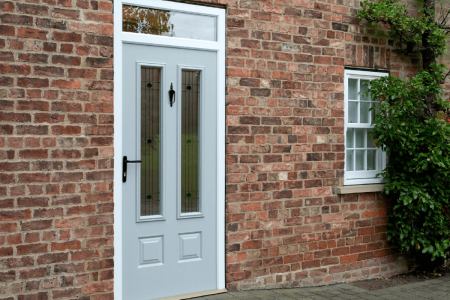 You can add some decorative glass to place a personal touch, or you can select from a range of colour finishes such as Chartwell Green to match your garden. 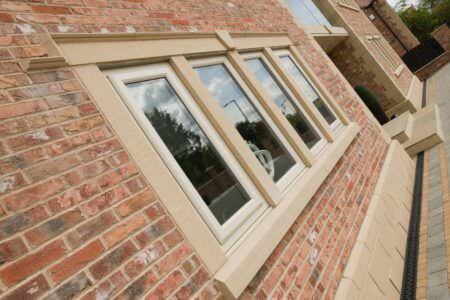 Whatever your preference, T-shaped conservatories gives you the greater, versatile living space you need. 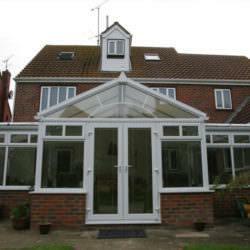 These prices are for a fully build T-shaped conservatory with Dwarf Wall.